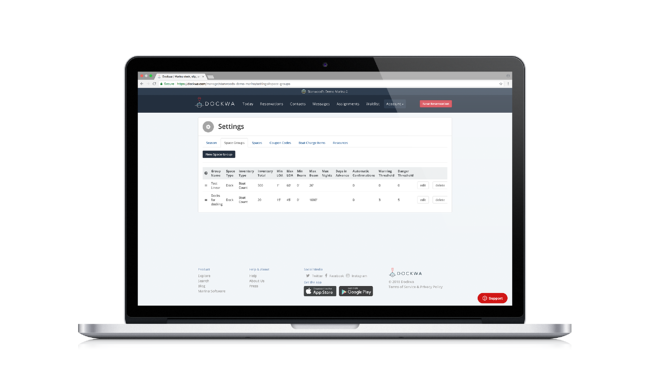 Setting up your Spaces Groups in Dockwa helps create a digital representation of your marina’s dockage in your Dockwa Dashboard. Space Groups are, essentially, categories of dockage at your marina. These categories are defined by things like min/max LOA and whether the dockage is comprised of slips or moorings. Each Space Group is then filled with Spaces - the individual units of dockage that fall into a particular category. 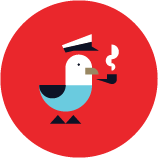 When you define Space Groups and Spaces in Dockwa, and record all reservations in Dockwa, you can see, at any time, which boats are in which slips today, tomorrow and each day after that! So let's start with your Space Groups. Before creating a Space Group, think about which groups of your dockage should comprise an individual Space Group. Generally, inventory of the same type and the same min/max LOA should be grouped together in a single space group. For example, a group of moorings with the same min and max LOA would be their own Space Group, while a group of slips with the same min and max LOA. Once you know how you’ll to categorize your dockage into Space Groups, head to the “Settings” page of your dashboard. Here, enter in the details of your new space group. 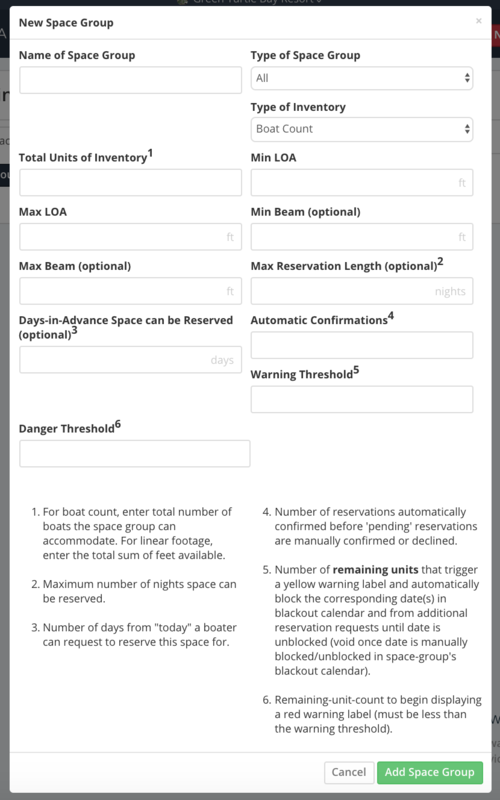 Footnotes at the bottom of the Space Group pop-up define how each field relates to your marina's dockage. For now, don't worry about completing the "Automatic Confirmations" field. This is a field we will revisit when we help you set up Auto Confirm. Add as many space groups as needed, until all of your marina's dockage is represented. Even if your marina's dockage is fairly uniform, it's a good to set up one Space Group, should wish to use Auto Confirm (more on this feature later!). "This is the best thing that has happened to the marina reservation world!!" Let's now add individual slips and moorings to your Space Groups, by setting up your marina's Spaces.